8 skilled beadmakers are given the challenges to create beads based on an inspiration - a color, a season, a painting, an emotion - to see what they will create. Resulting beads show the variety of creative responses. 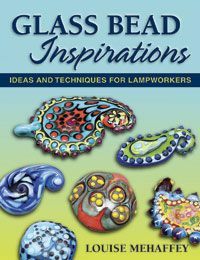 Step-by-step techniques for using other materials with glass to create unique .